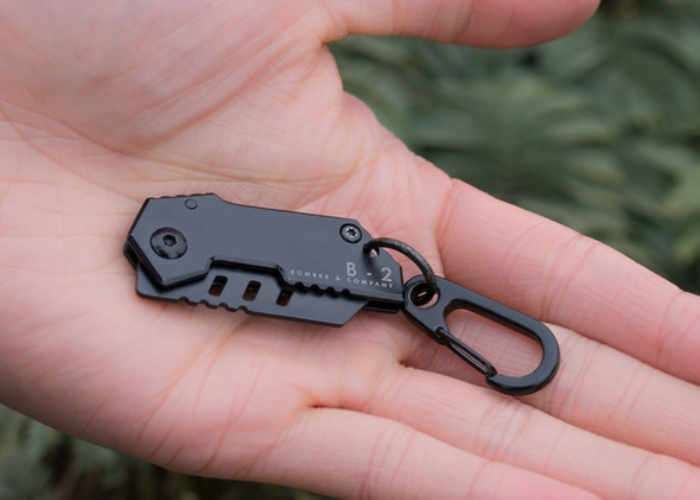 Anyone in the market for a tactical pocketknife may be interested in the B-2 Nano Blade, which takes the form of the world’s smallest tactical pocketknife and has been inspired by the B-2 Stealth Bomber. Watch the demonstration video below to learn more about the Nano Blade which has been designed to provide an everyday carry with a lifetime warranty, from just $25. Inspired by the B-2 Stealth Bomber military aircraft, the B-2 Bomber Nano Blade is the last everyday pocket knife you will ever need to carry. 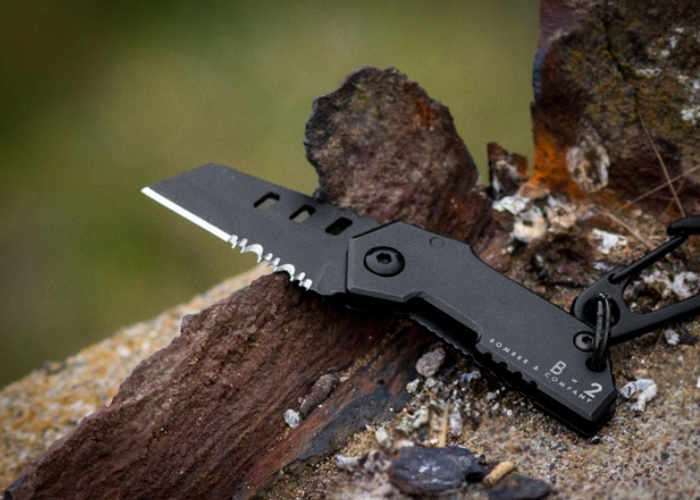 The mini tactical B-2 Bomber Nano Blade is designed with precision and detail that allows it to be extremely versatile in every survival situation. Urban Military Concept: All of our Bomber & Company products have a military design and tactical aesthetic. The B-2 Nano Blade is engineered to hold durability and functionality similar to military grade equipment. Blade: The blade is split with a serrated teeth edge as well as a sharp edge. The sharp edge is perfect for thin sharp precision slices whereas the teeth is perfect for tougher materials like wood. The B-2 Nano Blade uses the “Great American Tooth” pattern much like in traditional crosscut tree saws. The pattern was designed specifically to saw and rake wood fibers. The blade is also perforated to allow cutting and slicing of materials to not stick onto the blade itself. It provides a cleaner sharper cut. For more information on the new Tactical Pocket Knife jump over to the Kickstarter website for details by following the link below.